Tomorrow is Graduation Day and we can hardly wait to celebrate with you! Attendees of tomorrow's Commencement ceremony will be hearing about the extraordinary accomplishments of Rio Salado's Class of 2015, including the record-breaking number of dual enrollment students who are graduating this year. Here's a glimpse into the life of one of those dual enrollment students, Austin Hornbaker. Austin Hornbaker has wanted to study physics since the seventh grade. His dream was put on the fast track when he began taking dual enrollment classes with Rio Salado his freshman year in high school. Dual enrollment is a program that allows students to take college level courses while in high school for both high school and college credit. Courses are taught by high school teachers who are certified to teach college-level courses. Hornbaker will earn two degrees at Rio Salado's May 5 Commencement ceremony-- an associate in arts degree and an associate in science degree-- before he graduates from Tempe Corona del Sol High School. “With an associate degree and two additional physics classes at Arizona State University under my belt, I have the whole first two years of a Bachelor’s [degree] in physics completed, allowing me to jump right into interesting physics classes instead of spending my first two years completing general education requirements,” Hornbaker said. This fall at age 17, Hornbaker will enter ASU as a junior. He plans to dual-major in physics and mathematics in the Barrett Honors Program. He said that the advisors at Rio Salado helped him work through his degree checklist and walked him through the classes which satisfied specific degree requirements. He also said that the advisors kept him in the loop on scholarship opportunities. “Down the road, this can jumpstart my career and I can finish college early. It seems as though the benefits of dual enrollment are boundless,” Hornbaker said. His father, Richard Hornbaker, said that the financial benefits are helpful, but that the real benefits are how well prepared his son is for college. 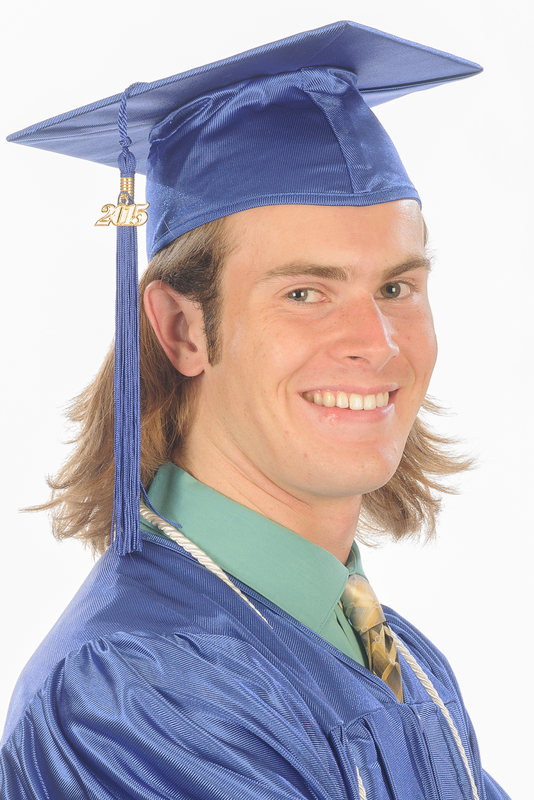 He added that dual enrollment has shortened Austin’s time to degree completion by two years and that Austin can immediately immerse himself in his major courses at ASU. Here's another story about Hornbaker by Wrangler News reporter Sally Mesarosh. See page 14. 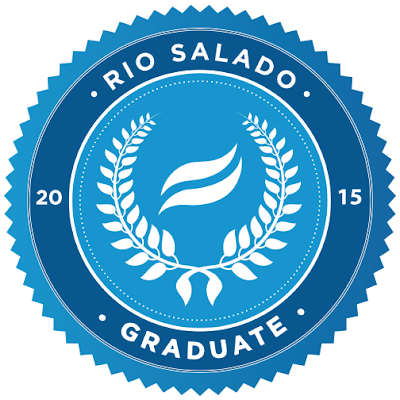 Feel free to upload and share the official 2015 Grad Badge. We also encourage you to share your grad photos and stories using ‪#‎RioGrad. Visit this blog page for details on how you and your guests should prepare for tomorrow's ceremony.